Swiss Markets Forex Broker Review - Get the facts here! Swiss Markets began as a brand in 2016 and was originally part of the BDSwiss Holding PLC group, which was founded in 2012. 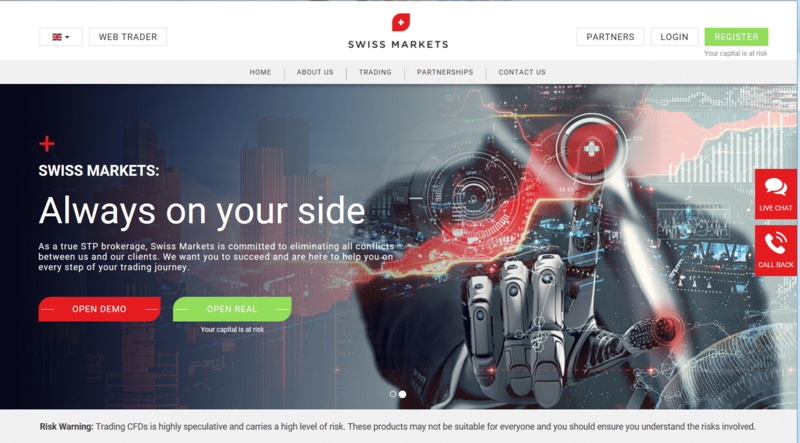 Swiss Markets was founded with the vision of creating a competitive environment for its clients where they could reliably and securely execute trades in multiple markets via an STP or Straight Through Processing broker. The broker offers customers a high quality deal execution service with the industry standard MetaTrader4 trading platform. Swiss Markets states that their intention is to provide their clients as many instruments as possible for trading, including forex currency pairs and CFD trading on soft commodities, energy products, indexes and precious metals. Please note that SwissMarkets.com does not currently accept U.S. clients. If you are located in the United States, you are advised to seek another broker. The list of assets offered for trading by Swiss Markets is quite extensive. Swiss Markets’ list of tradable forex assets includes 18 major, 19 minor and 40 exotic currency pairs. Other instruments available to trade include soft commodities such as cocoa, coffee, cotton, orange juice and sugar; energy products including US oil, Brent crude and Natural gas; precious metals such as gold, silver, platinum, palladium and copper, and 23 of the highest volume stock indexes, including the SPX500, JPX225 and GBR100. Depending on which of the four different accounts offered by Swiss Markets is opened, commissions per transaction range from $5 to as much as $11.00 USD. Dealing spreads are very competitive and average between 0.2 of a pip for EUR/USD to 2.4 pips for GBP/NZD, which is the highest dealing spread among the major currency pairs. Dealing spreads for exotic and minor pairs can fluctuate depending on market liquidity. The contract size consists of 100,000 units of the base currency for one whole lot. The sizes available to trade range from as small as 0.01 (a micro lot) to a maximum amount of 50 whole lots per ticket. 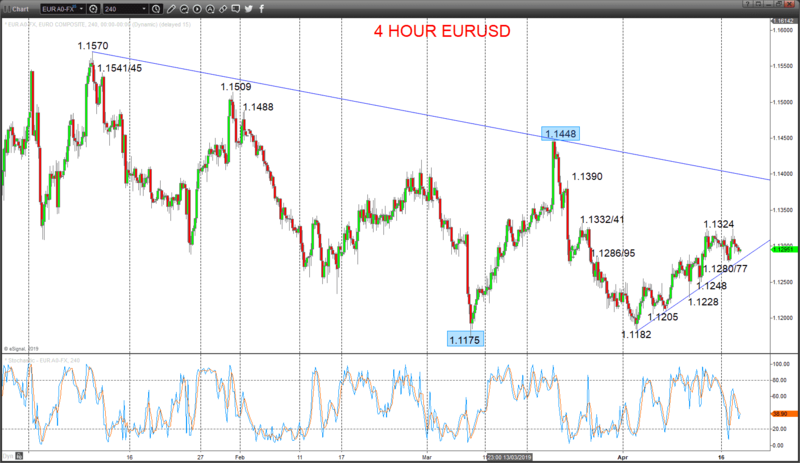 Leverage for three of the four account types is up to 200 to 1 in all currency pairs; however, the Classic account allows leverage of up to 500 to 1. The company offers four distinct types of trading accounts: one Classic STP account and three RAW STP accounts with unique features. All Swiss Market account have an Islamic option and can be opened in the following base currencies: CHF, DKK, EUR, GBP, NOK, PLN, SEK and USD. Classic STP – this account has a minimum deposit of $200 and has variable commissions depending on the base currency. 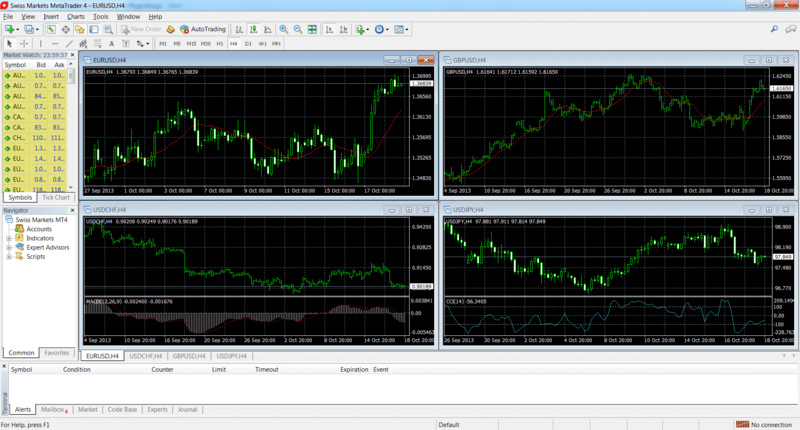 Spreads in this type of account can be as low as 0.9 pips on EUR/USD. This account allows for the most leverage of the four, with the maximum being 500 to 1. Maximum open positions or pending orders is for as many as 200 positions per currency pair, with a maximum of 50 lots per order ticket. RAW STP SWISS11 –a minimum deposit of at least $200 is required for this account, which shares many of the details of the Classic account, except for: a commission charge of up to $11 per transaction depending on the base currency. Dealing spreads as low as zero pips on EUR/USD and the maximum leverage is 200 to 1. RAW STP SWISS8 – this account has minimum deposit requirement of at least $2,000. A maximum of $8 commission is charged per transaction with leverage of 200 to 1. Spreads as low as 0 pips on EUR/USD, with the same position limits and lot restrictions on tickets as the Classic and SWISS11 accounts. RAW STP SWISS 5 – this premium account requires a minimum deposit of at least $10,000. Leverage is up to 200 to 1 with a maximum of $5 commission per trade. Dealing spreads as low as zero pips on EUR/USD. Position limits and lot restrictions on tickets are the same as the previous three account types. Swiss Markets’ trading platform is MetaTrader4 from MetaQuotes, which is used exclusively for all transactions. The MT4 trading software has become the industry standard for online forex trading and is used by the majority of online brokers and their clients. MetaTrader4 is a complete technical analysis and trading platform, allowing the user to trade and chart multiple assets simultaneously. 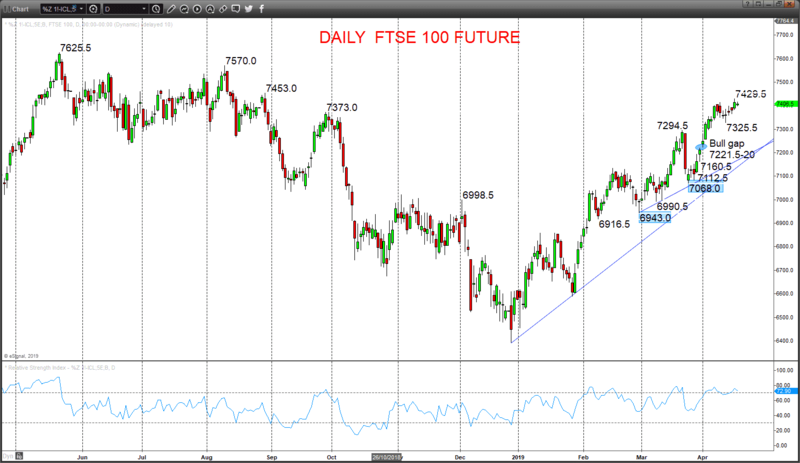 It also lets traders apply technical indicators, draw trend lines and other studies to the price action of an asset. Transactions can be automated by developing and/or executing the advanced algorithmic trading functions in the software. Combined with the excellent pricing and reliability available from the broker’s Straight Through Processing trade execution, the MT4 trading platform is a powerful tool for implementing any trading plan. To open an account at Swiss Markets, a minimum deposit of $200 is required. Deposits can be made through a wide variety of deposit options, including Visa, MasterCard and Maestro credit cards, postepay, giropay, SOFORT, eps, Przelewy24, Skrill and Neteller payment companies, as well as through Swift Bank Wire Transfer. Deposits are free of charge and are immediately credited to the customer’s account; however, wire transfers can take from one to four days to complete. Withdrawals typically take 24-hours to process, are also free of charge and can be made after submitting the appropriate documentation, which must be fully verified. Funds are withdrawn to the originating funding account from which the trader first made their initial deposit. Customer funds can be withdrawn to Visa, Mastercard, Skrill, Neteller and through a Swift Bank Wire Transfer. Swiss Markets’ customer support page lists direct contact telephone numbers for Germany, Switzerland, the UK, the Czech Republic, Poland, Spain, Hungary and Russia. A fax number is also available for the UK. The “Contact Us” page does not specify its customer support hours and lists several email addresses to contact them at. While a live chat button is featured on their website, the live chat feature was not working at the time of this review. The broker instead answered a chat query by sending an email within several hours of the original chat message having been sent. Swiss Markets gives the overall impression of being a first-class forex and CFD broker. In addition to the four types of live accounts, the company offers a demo account and a sign-up bonus of commission free trades for 14 days after opening a funded account. Using the MT4 trading platform exclusively is a big advantage given its popularity, since many seasoned and novice traders are already familiar with the platform. Nevertheless, despite competitive dealing rates, the prospect of paying an additional commission per transaction on top of any dealing spread might put off many potential customers that trade especially frequently. Also, the live chat feature on its customer service page was not available at the time of this review, with an answer only being received by email several hours after leaving a chat message. Finally, the educational resources that are mentioned in the “About Us” section do not seem to appear anywhere on the website, so this broker may be more suitable for an advanced trader that does not require such training materials.